In 1966, the pension was at its height as the de facto form of retirement coverage, and average life expectancy was 66.6 years for men and 73.1 years for women. Fifty years later, people are living longer—much longer—and the pension is all but dead. In its place are defined contribution plans, such as 401(k)s and 403(b)s, that many believe are failing our future retirees. 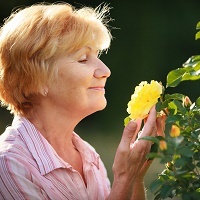 These are among the many trends discussed in a recent report from the Wells Fargo Investment Institute, entitled Living Longer, Living Better. The full report is worth a look for all those interested in the trends shaping retirement savings, and particularly for physicians and others in healthcare, because it covers some of the trends in healthcare that are fueling life expectancy. Living longer is a good thing, of course, but it isn’t without some important implications for those saving for retirement. Put simply, most people are now likely to spend as much as a third of their lives in retirement. Since physicians spend their first couple dozen years (and even longer for specialists) preparing for their careers, and as long as two decades in retirement, that leaves a very short window for actually saving for retirement. That’s not meant as a scare tactic; it’s simply a fact. Here, then, are some tips for securing a more comfortable retirement. Be prepared to fund up to three decades in retirement. Simply working longer isn’t always an option for healthcare workers, who often rely on motor skills that can decline with advanced age. Saving for such a long period time may mean going significantly above the established limits to contributing to a 401(k) plan. Consider an individual retirement account (IRA) to supplement your savings if you’re at or near the saving maximum. Use caution when calculating your retirement needs. Projecting the income you’ll need 15 to 30 years from now is an inexact science, to be sure, but it’s a necessary part of your retirement planning. When you plan, steer clear of one key underestimation and one key overestimation. Retirement savers tend to overestimate the money they expect to receive from Social Security—a program that, depending on how close you are to retirement, may not even be around long enough to benefit you. As part of your planning, consider that Social Security payments could, at best, decline. Savers also tend to underestimate how much income they’ll need to maintain their lifestyle, thinking that savings on commuting costs and other cutbacks will be more significant than they may actually be. When considering your post-retirement estimates, be more conservative about how much you think you’ll save. Start early. This little tidbit always gives me pause, because I don’t want it to discourage anyone who perhaps didn’t start as early as they’d like from aggressively saving now. But the fact is that the earlier you start saving, the more comfortable your retirement is likely to be. Compounding interest is a primary factor, as is simply having a longer retirement savings window. Even if you didn’t start as early as you’d like, starting today is better than starting tomorrow. Consider maintaining more risk in your portfolio. The general rule is to scale back on high-risk, potentially higher return investments the closer you get to retirement age. This is still a good idea in general. Risk tolerance is informed partly by the time window until retirement; a longer window allows your investments to ride out some short-term losses in pursuit of longer-term gains. Pushing your projected retirement date farther out may mean that you still have that longer window to bear risk. Target-date funds, of course, won’t automatically adjust; you’ll have to reallocate funds yourself. And if you’re working with an advisor, make sure you keep him or her informed about any changes to your retirement plans. Living longer is unquestionably a good thing, and one that, as a physician, you’ve contributed to in some fashion. Just make sure the extra years are good, comfortable ones, with a savings plan designed to last a while.